On "vbulletin. Com" they are not visible. Is a parameter in "lacp"!? There are permissions on who sees what links there. Seems his haven't been set properly. Probably from a bug in an early beta that has been fixed but may have carried over in his installation. Interesting, that was a clean install of the RC. It can be fixed in the site manager. No big issue. Odd that they are showing though. The theme on here is fine, it's what you do with your own theme that should be important. User Feldon23 has done some amazing mockups - I hope the VB staff considers these. It's like getting free design help - and looks incredible!! And here's another one from Feldon23. What do other users think? Better or worse than the current theme? To me, it is infinitely more attractive and engaging. Man, those mockups would definitely sell a software. I hope vB can incorporate threads/views like he has above, it looks super neat! I didn't create these mockups. The irony is, they were created by a former IB/vBulletin employee. She had the clear vision to create a style that had personality, visual weight, ease of use, great emotional signature, and yet still strongly identify with the vBulletin brand. Her style was dumped in favor of the insipid sea of white and grey boxes we are facing now. 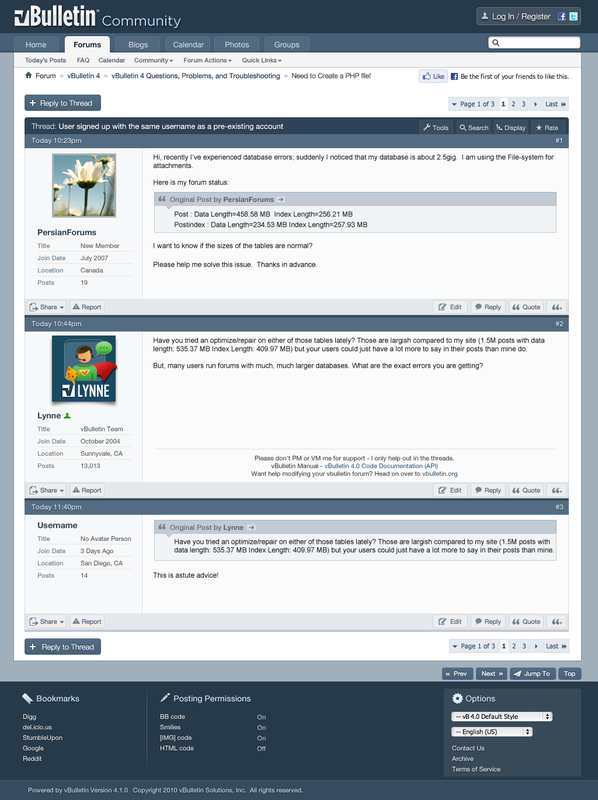 it's the most bland looking forum software I ever came across. i complain a lot about vb5 in my previous msg, but sincerelly vb5 look very promissing ! i like the design, the simplicity !